Photo, courtesy SOAR Records, by Larry Gus. ALBUQUERQUE -- The best-loved renegades of American Indian rock 'n roll, XIT, were not just a band, but an icon, a transforming energy of sound resulting in personal transformation, struggle and hope. "We never considered ourselves a band, we considered ourselves carriers of the message of the Red Man and the plight of the people," said Tom Bee, surrounded by the memorabilia of the Red Power movement of the 1970s. It was the music that carried the movement. Bee, at his Sound of America Records office, said the music is as alive today as ever, pulsing in the veins of the Red Man. "I see myself basically as being a survivor. The music was the means of delivering a very important message. I dont see myself as anything more than a messenger," Bee said. "I'm a guy that likes music. Im still alive and doing it." In the halls of XIT history, in the corridors of SOAR in Albuquerque, there are black and white photos of an early Russell Means, a young Peter MacDonald and snippets of comments clustered around the early award-winning Silent Warrior album on the Motown label. On the wall-studded history of Indian rock n roll is one handwritten note signed from Red Buffalo Trading post in Klamath Falls, Oregon. It places XIT among the great legends of rock n roll. "These guys XIT are to the Indians like the Beatles were to the white folk," writes the fan. Bee smiles and says, "I thought it was very flattering, but I didn't take it to the bank. "If people would take the time to meet me, they would see that I am a very humble person, I'd rather not be in the spotlight," Bee said. The music happened during the 1970s and theres no repeating that time in history. Now, remembering the FBI shakedowns and protests of the 70s, Bee says the music was all apart of that time of social awakening. For American Indian rockers of all ages, XIT was the driving force of change. Teresa Fay Riley of Bowlegs, Okla., says for her and other Seminoles, living in race-torn Oklahoma in the 1970s, XIT was the sound of the movement that kept them alive. "XIT was the only thing that kept us going," said Riley, who now lives in Arizona. Chato Francisco, Navajo, remembers XIT from his days in boarding school at Shiprock, N.M., where XIT member Duane Chile Yazzie also lived. Remembering the 70s, Francisco said, "We were in boarding school and once we got that beat, man we were having a pow wow all over that boarding school! It kept us lifted up; it kept us with our identity!" Francisco said XITs music came at a time when whites were torturing and murdering Navajos in the bordertown of Farmington, N.M., murders now chronicled in the book, The Broken Circle. In the 1970s, Francisco said, "Three Navajos were killed, Farmington was always trying to bring us down and no one was doing anything about it." Then, came the rockin' sounds of XIT and the resistance camp at the Shiprock home of Fred Johnson, Navajo councilman who mysteriously died young in a plane crash. Francisco grew up hearing the music coming from Johnson's home. We could hear them playing XIT. It was like a light, a strength. With the sound and message of XIT still alive, Bee hopes to pass wisdom and knowledge on to the younger generation. To Indian youths, he says, "You can be a dreamer, but you still have to do the work." Remembering the XIT reunion in downtown Albuquerque in July of 2002, Bee remains amazed how XIT members can fly in from all over the country, jam for a while in his office, then take it to the stage again, perhaps sounding even better than they did 33 years ago when XIT began. Rocking on a hot summer night in downtown Albuquerque were American Indians of all ages. Bee said, "Im talking six to 60 years old, they wouldnt let that music die. It has a powerful, spiritual connection." During the reunion, Jim Boyd joined the rockin' Willy Bluehouse Johnson, Navajo/Isleta Pueblo who also serves as an attorney and tribal judge, on guitar. Obie Sullivan was on organ, Louie Lomavitu on base guitar and Pete Gabaldon on drums. Bees son Robby Bee played keyboard. Now, more than ever, Bee is taking the music out of the trading posts and into the streets. With 15 new releases this year, Bee and SOAR are carrying the message of song and journey, hope and regeneration. Among SOARs new releases is the Black Lodge Singers Brotherhood. The Grammy-nominated groups new release carries 13 solid sounds, including Stillwater Straight, Crow Hoppin and the Flag Song. Moving and spiritually-uplifting, the new release Longhouse, a Warriors Journey, is a journey recorded in Manitoba, Canada. It begins with Medicine Womans love and happiness and the birth of a warrior. With the passage of ceremony and life, it ends with, I will leave you in the flesh but I will always be in your memory. The new release of Nicole, from Lower Brule Tribe in South Dakota, is Night Tree. It delivers the sweet sounds of flute, guitar and traditional singing in beautiful harmony. The swirling song carries my words, glowing and lost, somewhere inside, Nicole (LaRoche) writes in her song poetry. The beauty of American Indian flute, drum and vocals is relayed in SOARs new release, Awakenings' Great Mystery. Earl Bullhead and Common Man, Standing Rock Lakota Sioux, offer a tribute on their new release Spirit of the Songs. They honor Tunkasila (Grandfather) Wakan Tanka (Great Spirit) which provides the way to live and cope as Lakota in todays world. These songs are a medium in which we attempt to relay a message of balance and harmony amongst people and nature, says the group, comprised of Frank Louis Bullhead, Thomas Anthony Bullhead, Larry Tortilida, Kenny Billingsley, Jody Lugar and Earlwin Benidict Bullhead. Chester Knight, with Derek Miller on acoustic and electric guitars, sounds out in Standing Strong, his new release. Cochise was a Warrior, soldier of the earth, the old ones tell the story, of the day of his birth, sings Knight. Knight, Canadian, sings of the pain of love, but on the lighter side, also sings of his Bingo Baby. Black Eagles' Flying Free carries the sounds of band members living the traditional lives in Jemez Pueblo, N.M. With selections including Dancing Colors, and Singing in the Circle, Black Eagle dedicates its new release to the 19 New Mexico Pueblos. Also a Grammy-nominee, Black Eagle says, "The group respects the Spirits of the Drum, and is proud to be a positive influence for the rest of the Pueblo tribes and their younger tribal members back home." Bees vision, and dedication to producing the sounds of other artists, has made him a winner, not just in the music industry, but at home, with music that spans generations. Speaking of the timeless sounds of XIT, Bee says, "Think about it, the albums still havent died. Its even hard for a white group to claim that. "My mother and grandmother use to listen to it." Bee is the winner of a Grammy as producer for Best Native American Music Album. He was also honored in 2002 by the City of Albuquerque when Mayor Martin Chavez proclaimed July 27, 2002, Tom Bee Day. The awards have kept coming, including a lifetime achievement award from the First Americans in the Arts. Bee says, "When you start getting lifetime achievement awards, it means youre getting more elderly." The awards include the Eagle Spirit in 1994 from the American Indian Film Institute in San Francisco; the Will Sampson award in 1996 from the First Americans in the Arts; Producer of the Year from the First Americans in the Arts in 1998. Bee was adopted at birth and raised near the Navajo Nation in Gallup, N.M. While he is best known as founder and feature artist of XIT, his composition Blue Skies was recorded by Michael Jackson and The Jackson 5 on their hit album Maybe Tomorrow. This hit gave way to an artist, writer and producer contract with Motown Records. While on contract with Motown, XIT spun out Plight of the Redman and Silent Warrior. In Europe, a single from Silent Warrior, titled Reservation of Education, went on to become a top five selling record in France and other European countries in 1973. It wasnt long before XIT's raw energy was compared to that of the Rolling Stones. While at Motown, Bee wrote and produced the title song, Joyful Jukebox Music for Michael Jacksons Swan Song album. He also worked with Smokey Robinson on his first solo album Smokey. In 1979, Bees composition Red Hot, was a top Billboard dance hit by Taka Boom, Chaka Kahn's sister. The hits kept coming and in 1985, Shakin Stevens recorded Bees Dont Be Two-Faced. Sound of America Records was formed in 1989 in Bee's garage at home. Then, in 1995, Bee formed another company, SOAR Distribution LTD, for the sole purpose of providing his clients with one-stop music from other independent labels and artists of American Indian music. SOAR purchased all three buildings, which they had been leasing, in 1999, to house their labels, publishing and studio operations. 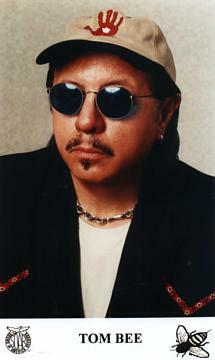 SOAR was the Native American distributor for Robbie Robertsons Music for the Native Americans and Contact from the Underworld of Redboy on Capitol Records. SOAR was the first to release Native American music on compact discs. With 300 titles of contemporary and traditional music, there are now three publishing companies and five different labels, SOAR, Natural Visions, Warrior, Dakotah and Red Sea. Bee has come a long way home since founding XIT 33 years ago. During XIT's summer concert in Albuquerque in 2002, Regina Tsosie of Crownpoint said, "It brings back so many memories. It's the bomb!" Pueblo in New Mexico. "They still rock hard!" Chato Francisco, Navajo, said no one has replaced XIT. Perhaps no one ever will.